Thank you, Michele. Yes, we all are thankful to be there and let her know that we love here. What an intense mix of feeling and emotions. So sad for your loss. The wedding must have been most beautiful! Yes, the wedding was absolutely beautiful. My nephew is the same age as my daughter. Many wonderful stories to tell about them. The wedding was a marathon of 20-hours ordeal, combination of traditional and modern Chinese wedding! Wow! You probably needed a week to recover!! Looked like a lot of fun! Yes, a week is about right, Dwight. I arrived last Friday and started to be back on my sleeping schedule two nights ago. So sorry to hear about your loss. I can comprehend with you. Losing sibbling is like losing a limb. My condolences to you my dear friend. You were lucky to be at her bed side at the time she bid goodbye. As I was with my brother. The pain though keep us killing but the hope to reunite keep us going. Please take care of yourself. Your sister was a real Angel who kept going dancing, and living life with winning strides. May she rest in peace. Thank you so much, Meenakshi. I thought of you a lot and identify with your pain for so when my sister passed away. She and I grew up together, walking to school on the streets when it was safe. I was shocked of the timing – she was gone not too early, not too late, but just right at the time when all the family gathered for the wedding and had a chance to say goodbye to her. I watched her video of Tai Chi also and even tried to learn to do it. I admire her talents. Yes, she can dancing forever now. What a loving tribute to your sister (she looks beautiful in purple) and a deep testament to your faith. Yes, she is made whole again and you will meet her again. Such a large family – life is always a mixture of sorrow and joy. You have found the joy in all. Thank you, Norah. Yes, my mom gave birth to 13 children but only 7 made it. In traditional Chinese, we addressed siblings by their birthday order. I guess they don’t do it any more. It sounds as if you had a close relationship with your siblings. I have a Vietnamese friend who has Anglicised her name. However she told me that in Vietnamese they also address siblings by their birth order. They do that in their family still, but not with other friends (I think). Chines language has specific words to address the family members, grandparents, aunts, uncles, and cousins so you can tell whether they are on mom’s side or dad’s side. It also tells the relationship between the speaker (younger or older) and the one being addressed. Miriam, I’m so sad to hear your news about your sister and yet rejoice with you that she is made whole again. Perhaps we are all broken for this one purpose. She is so beautiful in her purple (and rose) dresses. A dancer still! What a blessing that so many of you could be at her side. Your post and flash are beautiful tributes. Thank you very much, Charli. Moments like this evoke extra emotion in writing the tribute to her. I’m glad to be back to do the flash. Writing can be useful for processing and remembering. Yes, I write the best when my heart hurts the most. What a way to be in touch with our feelings!! I’m so sorry to read about your sister. A lovely fiction story surrounding the sadness. Thank you so much for reading and kind words. We were glad to have the chance to say good bye. She had a fun life. Sorry to hear about your sister, Miriam.i’m sure those last memories you’d never forget. Thank you so much, Nahla. Yes, they are precious moments. Thank you very much, Michael. The narrative is true and the 99 words part is fiction. I often anchor the fiction on some of the true stories. Our sympathy for your loss. It is never easy. Does writing help? I am sorry for your loss. So sad indeed. Please take care. Thank you very much, Garfield. She might have ill for a while but the liver inflammation had flue like symptoms and she was treated as having a flu!! Thank you, Garfield. Only the truth is our comfort! I am so sorry for your loss Miriam, but I am so glad you had that special time with her before she made her final journey. Thank you very much, Brigid. Yes, we all felt thankful to be there to be close to her and say good-bye to her. So sorry to learn about your loss, Miriam. Being there to say goodbye does help the grieving process. You wrote this beautifully. Thank you so much, Jacqueline. Yes, being there helps a lot, especially we messaged each other so recently and I was expecting to see her. I would have felt terrible had I not been there. Thank you for your kind words. So sorry for your loss! This was really heartbreaking 😔 believing in Canty’s story however, will really help with dealing the pain. Thank you so much, Madhura! 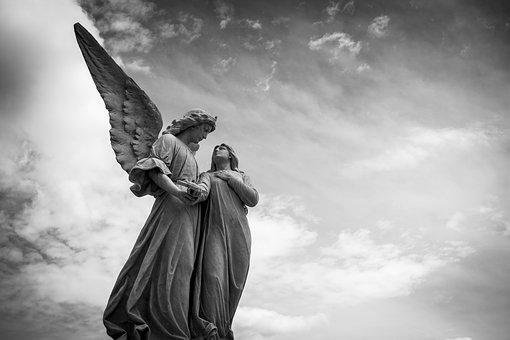 When my son-in-law’s mom passed away, she told me of the angel’s 3 visits – one visit was when I was with her, although I couldn’t see the angel. I left her two days before the angel came back to take her – she told me exactly when she would be going HOME. I do believe that the angel came to receive my sister. Thank you, Yvette for your kind words. Beautiful story from Canty’s perspective. I am sorry for your loss. Thank you, Frank. She is in a better place with no pain and suffering! I am so sorry for your loss, Miriam. It was lovely you could be there to say goodbye. Your flash is emotional and lovely. Thank you very much, Robbie. I was glad to be there to say good-bye.